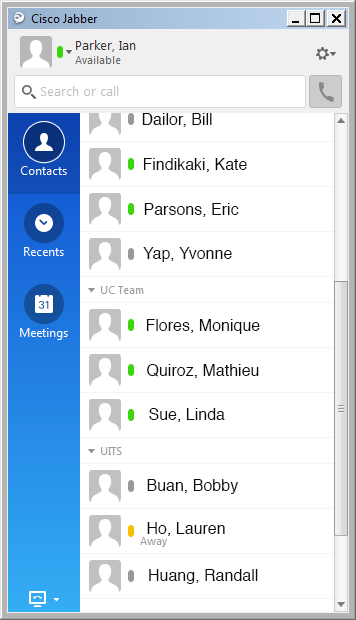 Existing contact lists are not automatically imported into Jabber on your desktop or laptop. 1. Click into the Search or call box. 2. Type a name or IM address in the search box, and Jabber will search for potential matches. 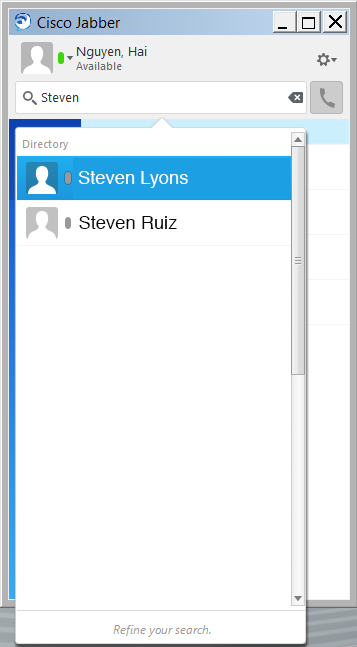 Hover your cursor over the desired contact name, then click + to add the contact. 3. A pop-up box will appear. 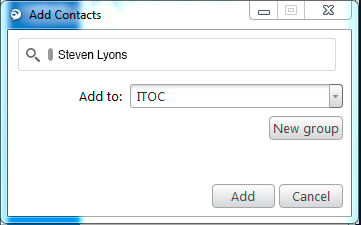 Click the Add to arrow to put the new contact into an existing group and then click Add. You may also create a new group to put the new contact into. The name displays on your Contacts list. To start a chat, double-click a contact name or search by name and then double-click the desired search result. To invite everyone in a Contacts list group to a chat, right-click the group name in your Contacts list and choose Start a group chat. To invite participants individually, begin your chat with the first participant, then click add participants . In the Add Participants window, search for the next participant by name, then click Add. Add the remaining participants in the same way. The group chat ends when all participants leave.